I have good news for anglers in my report this week! Estero Bay is RED TIDE FREE!!!! We have been plagued in the bay by bad water conditions as of late but it has been steadily improving. This past week bait stayed alive all day, and the fish responded well. I believe they are hungry since they haven’t had much food since the bad conditions hurt our bait fish population. 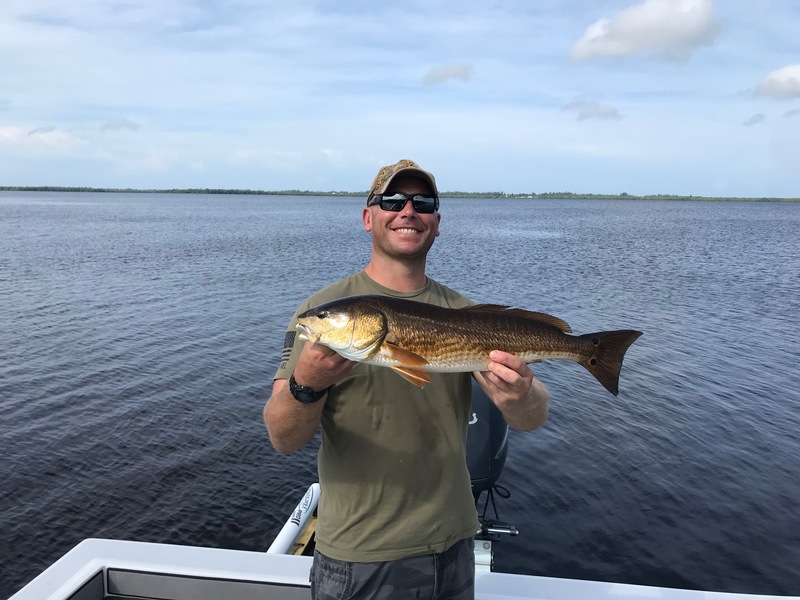 We have been catching over-slot red fish and good size Snook in their normal spots. Bait is tough to find but manageable, you can still find ok numbers of pins on the flats and there is white bait mixed in as well. If all else fails cut bait has been working very well also. Get out and book a charter, our state needs the tourism money this year more than ever!